J.R. Smith forgot the score at the end of regulation, leading to a major mental blunder. LeBron James gave the Golden State Warriors his best shot in Game 1 of the NBA Finals and it still wasn’t enough. 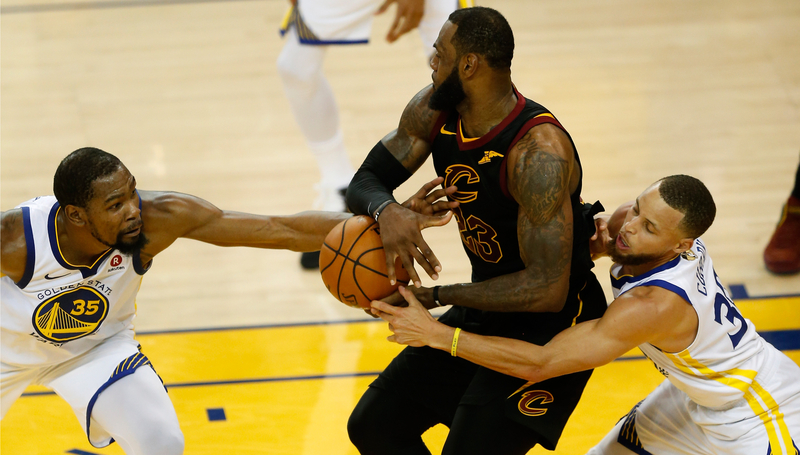 The narrative of James having to face the loaded Warriors on his own was only strengthened in the opener as he single-handedly gave the Cleveland Cavaliers a chance to steal one on the road before succumbing to a 124-114 defeat. Only six players in the history of the Finals have scored 50-plus points. James is now the only one whose team lost. Only six players have ever dropped 50+ points in an NBA Finals game. LeBron is the only one whose team lost the game. 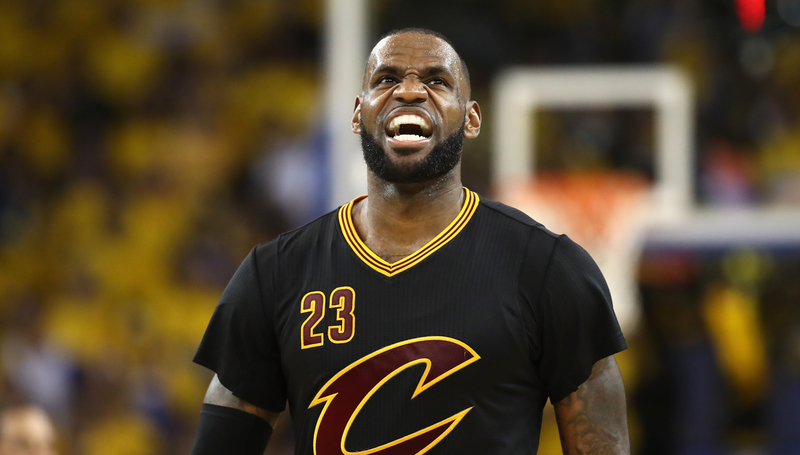 LeBron delivered a special performance with 51 on 19-of-32 shooting in Game 1, but it went to waste as his teammates provided little help, especially in the closing moments of regulation. George Hill let him down first by missing his second free throw with 4.7 seconds left in the fourth quarter, which would have put the Cavaliers ahead by one. 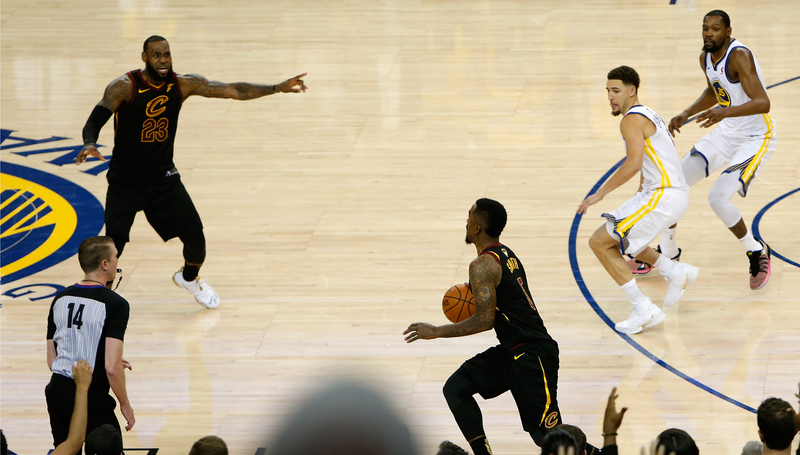 That blunder was somehow topped by J.R. Smith, who grabbed the rebound on Hill’s miss and instead of putting a shot back up, getting the ball back to James or calling a timeout, dribbled out to waste time before the clock expired as he clearly forgot the score. Outside of James, Cleveland shot just 37.3 per cent and only Kevin Love (21 points) and Smith (10) managed to get into double figures. The Cavaliers have gotten away with this type of imbalance on the road to the Finals, but there’s no chance they can beat Golden State unless they get more contributions from their supporting cast. Unsurprisingly, the end of the game whittle down to both teams picking out their preferred mismatch and going at it over and over again. That meant LeBron seeking out Stephen Curry on a switch on one end, while on the other the Warriors did the same with Love. Neither defence wants to give into that, but the Warriors will settle for what transpired in Game 1. 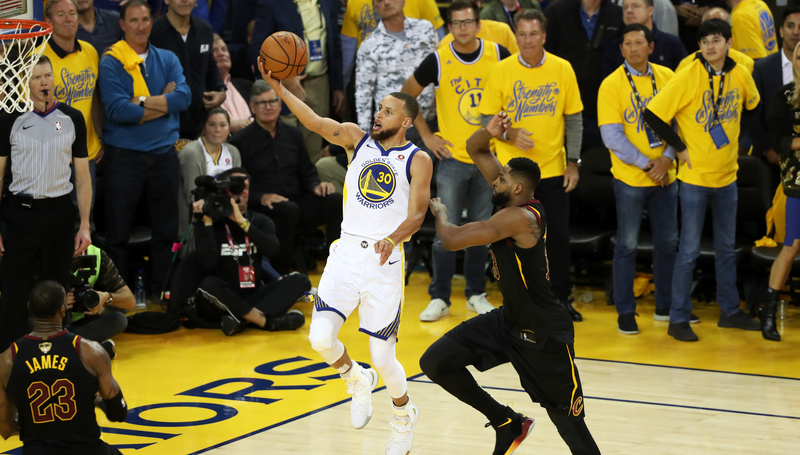 By refusing to switch Curry onto James as much as possible, Golden State made Cleveland waste time in re-screening, so when LeBron finally got the match-up he wanted, the shot clock was already dwindled to keep him from patiently attacking. The counter to that is two-fold. One, James has to look to initiate that switch sooner instead of mid-way through the possession. And secondly, he has to be more forceful coming off the screen to catch Golden State’s defence off-guard. The solution to keeping Love out of those mismatches on the other end isn’t as obvious. Because of Curry’s ability to launch from deep, Love can’t sag off or stunt at the Warriors’ sharpshooter before retreating back to his man. The Cavaliers can do one of two things to stay out of those situations: not play Love, or trap the ball-handler, which would leave the screen-setter with a free run to the middle of the paint. Considering just how pressed LeBron is for scoring help, the former is untenable. But the latter could be just as harmful. As is often the case against Golden State, there are no good options here. Whether it was a concerted effort or a bit of randomness, Cleveland smashed the Warriors on the glass in the opener to win the rebounding battle 53-38. Much of the damage was of the offensive kind, as the Cavaliers gobbled up 19 boards off their own misses, compared to just four for Golden State. Cleveland also missed more shots, but even so, their advantage on the glass was a major reason why they had a chance to win the game. The Warriors prefer to play small to maximise their versatility, but in Love, Tristan Thompson and Larry Nance Jr, the Cavaliers have players who can make them pay by snagging extra possessions. Cleveland can’t match Golden State’s firepower or defensive tenacity, but by winning on the margins in an area like rebounding, they can give themselves a chance in the series.